The black and white historical game folder in English. 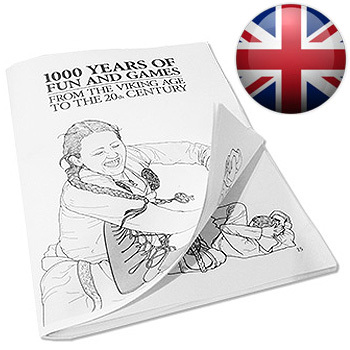 Contains illustrations and game descriptions drawn from the hard cover book 1000 Years of Fun and Games. Attention! 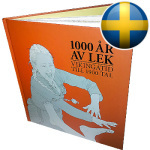 Earliest shipment 12th of December 2014! Play the games our ancestors did spanning from the Viking age to the early 20th century. 30 illustrated game descriptions how to play the games especially chosen to be fun and playable. In English. The folder contains illustrations and game descriptions drawn from the hard cover book 1000 Years of Fun and Games written and illustrated by Olof Johansson and Martin Wande.